Discover The State of Social Marketing 2014, as told by your fellow marketers. Where does your social media marketing strategy stand? Socialbakers conducted a social media pulse check across 82 countries and 20 industries to discover what marketers are focusing on, and more importantly, what they’re not. 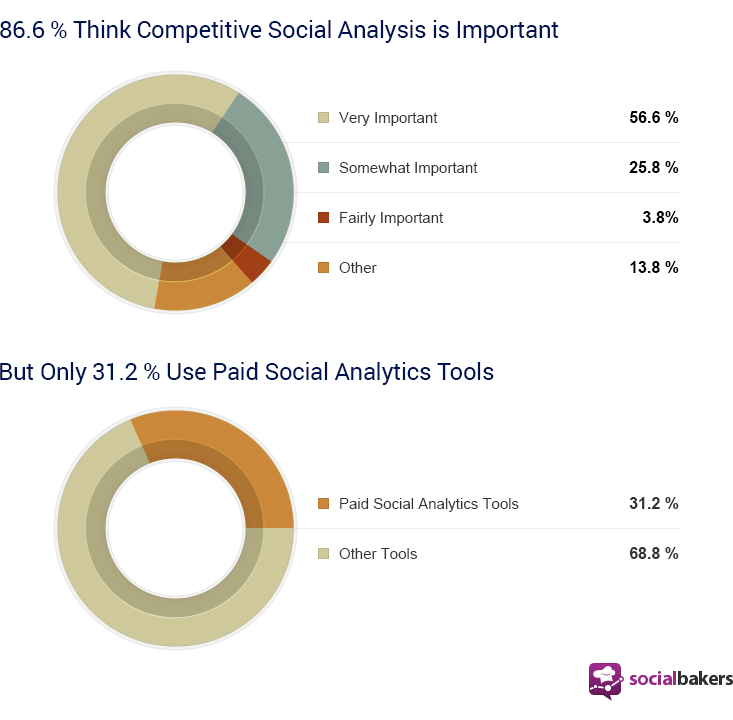 Did you know that 86% consider competitive social analysis important, but only 1/3 use paid tools to conduct said analysis! Imagine a lawyer who says a strong defense is important and then turns to Wikipedia to build a case. No thanks, I’ll Google the Constitution myself. Here’s what over 500 of your peers had to say about the state of social media marketing. This means nearly 70% of marketers aren’t willing to put their money where their mouth is! Marketers who fly blind without the support of benchmarking data are at a huge disadvantage. Knowing what your competitors are doing on social and how your brand compares is critical for setting and reaching relevant KPIs. Free analytics tools have a place in marketing, but not for those who want a true competitive advantage. 62% say customer acquisitions via social marketing is a “very important” goal for 2014, but only 29% say the same about social customer care. As brands mature on social media, so do their goals. Remember the days when “likes” seemed to be the only thing that mattered? While social ROI is a smart goal, brands must not neglect the importance of social customer support. As our Socially Devoted initiative highlights – if you don’t support customers on social, they’ll be less likely to support you with their voices or wallets. It’s no surprise that 80% of marketers, regardless of company size, say Facebook is a high priority. 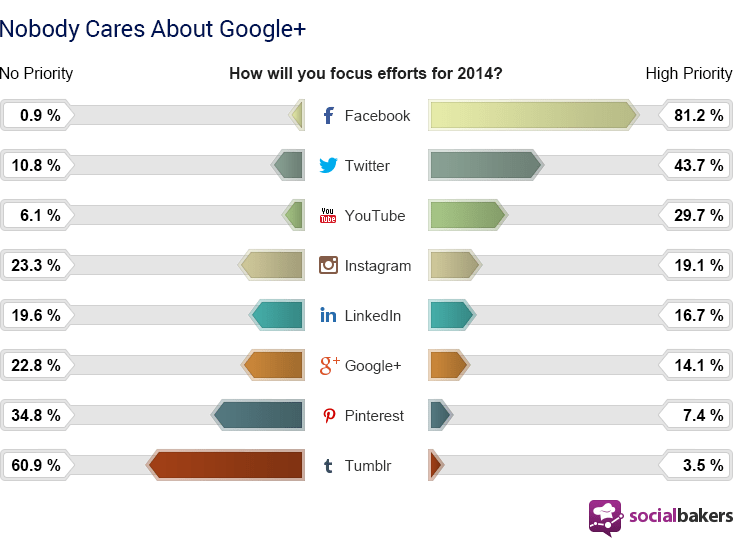 What’s surprising is that only 14% will give Google+ a high priority in 2014 and 23% will not consider the platform at all! This data supports the trend to continue treating Google+ as an SEO tool, not a popping social network. For those of us with start-up experience we know how many hats a CEO can wear, including the social media one. 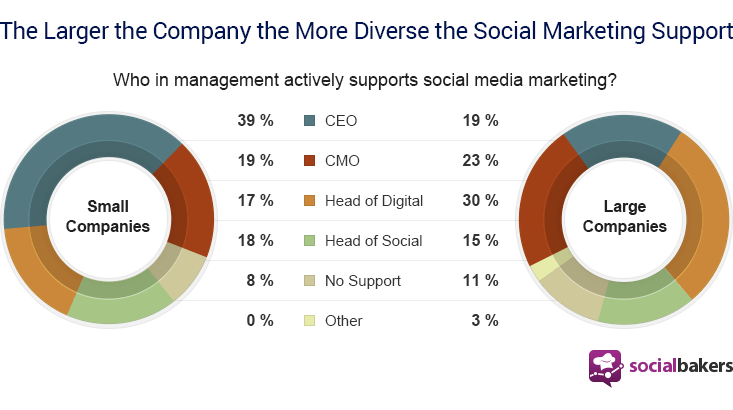 Support for social marketing is diversified with company growth to include other supporters such as Head of Digital, roles most likely created from said growth. While the benefits of a data-driven social media strategy seem obvious to most marketers, even some big companies struggle to create a company culture that supports social. 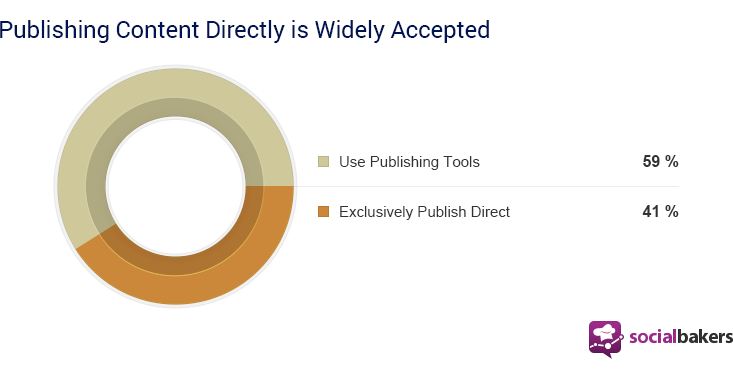 With so many advancements in publishing tools it’s surprising that 41% exclusively publish and manage content directly to native platforms. This means zero support for reporting team performance, organized collaboration, easy scheduling, and managed post approval. This tactic waves a huge red flag for large teams looking to streamline social efforts and avoid confusing communication. 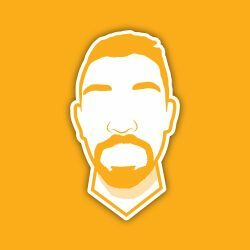 We of course recommend using publishing tools. Supporting organic reach with paid advertising is the new normal in social media marketing. No matter how targeted or engaging your content is, the fact remains, the social party is crowded and you have to pay for a soapbox. 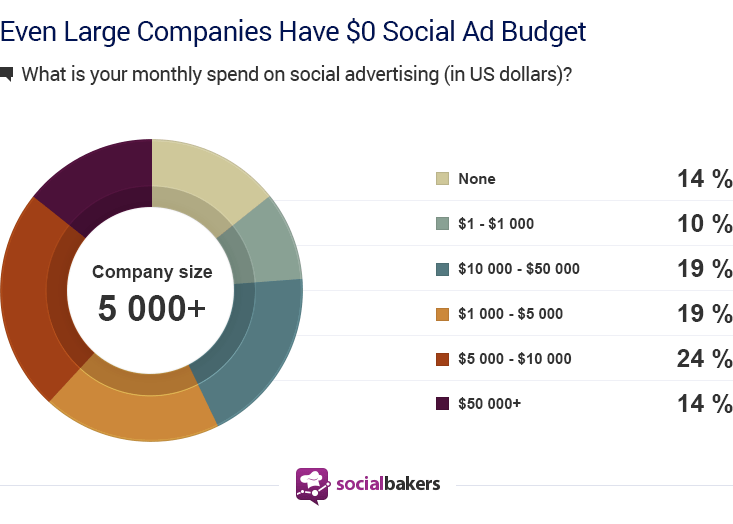 But 14% of companies with more than 5,000 employees reported a $0 social ad budget for 2014. Their content stands alone to fight the noise and competition increasingly present in users’ News Feeds, both from personal connections and competing brands. However, most companies who know how valuable a well-optimized social strategy can be understand that social advertising is a must. Furthermore, it’s money well spent for brands who optimize and measure their social ad performance. 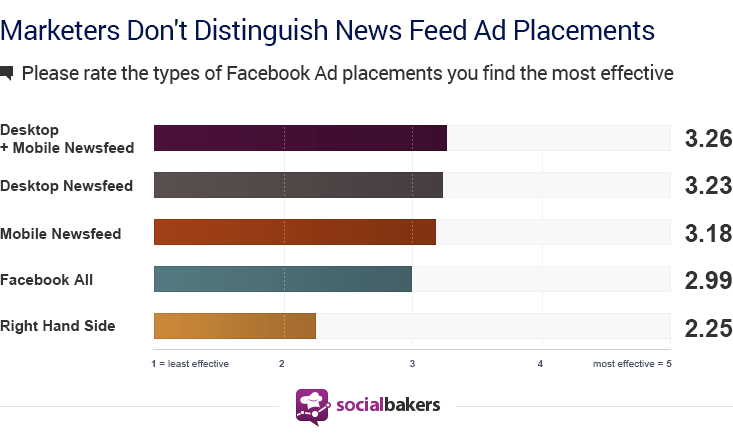 It’s not shocking that marketers say News Feed (native) ads are more effective than other placement options. But when you look closely at specified News Feed placements (desktop News Feed vs mobile News Feed vs desktop/mobile News Feed) it becomes clear that marketers aren’t able to distinguish between the three placement types. This points to the fact that marketers are still evolving and learning to fully leverage improved ad targeting provided by leading social networks. The majority have yet to discover the benefit of creating mobile specific content and CTAs. However, if we compare similar data from a survey conducted in January 2013, we can see that marketers are getting smarter. Then, 81% of Facebook ads used “Facebook All” placement. As of December 2013, that number has been reduced to 42% and News Feed ads lead the way for effective social advertising by a landslide. Right-hand side ads were so 2009. The fact that brands are not flocking to Twitter’s adver­tising platform may not speak directly to the platforms’ ability to offer something of value, but rather, to marketers’ inability to effectively adapt to this new form of social advertising. Twitter launched promoted posts and promoted tweets in March 2012 to a select number of small business and has cautiously expanded this select group to include beverages, athletic apparel, and even a certain Commander-in-chief. 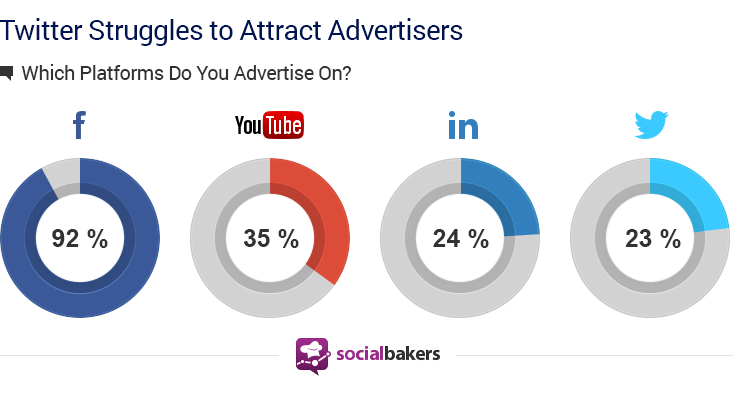 Despite Twitter advertisings’ unique appeal, advanced targeting, and proven ROI for a number of brands and verticals, most brands have been quicker to adapt to social advertising on LinkedIn, YouTube, and the Mother of Platform Monetization, Facebook. 13.5: that’s the average number of social media pages managed by marketers in our survey. That’s more than 13 different pages (potentially of various countries, languages, and products) that all need to publish and promote content at the right time, to the right audience. 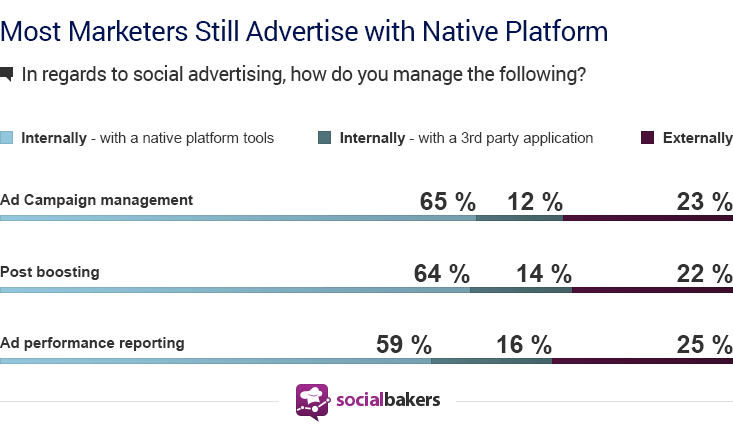 But even so, the majority of marketers replied that they manage their social advertising via native platforms! While many social networks, such as Facebook, have made leaps and bounds to improve their advertising platforms, this approach does not provide any efficiencies for managing multiple pages across multiple social networks. Using a 3rd party application for social advertising simplifies the experience giving marketers more time to do what they do best – create amazing and engaging content for their audience. One might conclude that along with company growth and expanded resources, something like social media – a function so close to the heart and soul of brand’s identity – would be reigned-in and managed in-house. 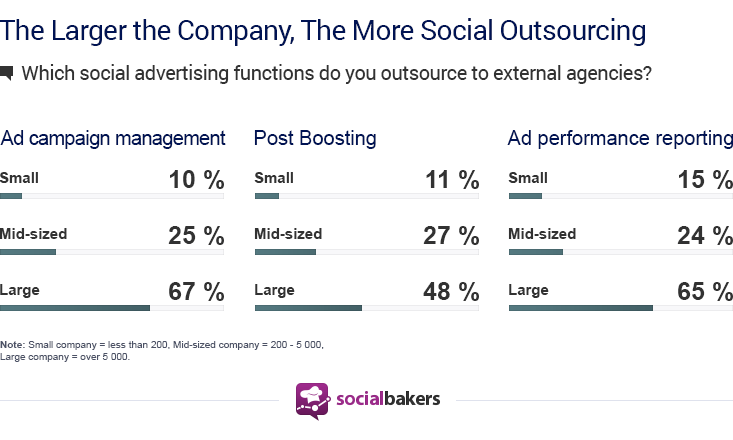 This data, however, paints a different picture of social media outsourcing: the bigger the company, the more social media work is outsourced. But if you take a closer look at the data, something changes when it comes to post boosting. 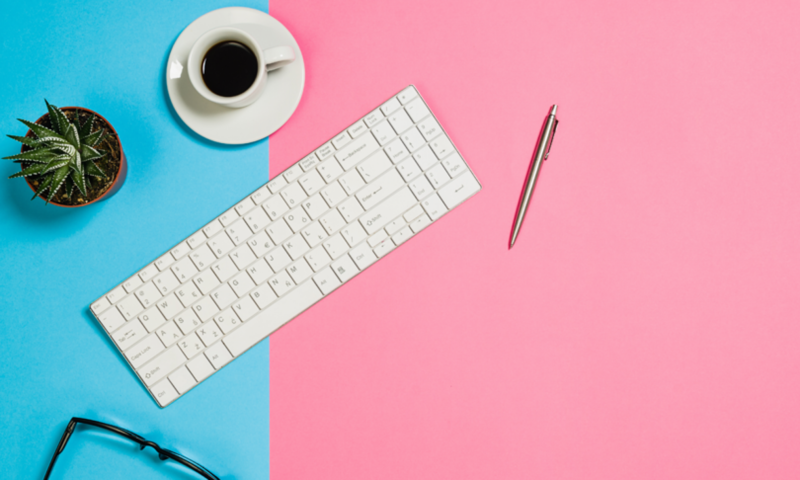 When compared to ad management and performance reporting, many brands that prefer to outsource social marketing elements chose to keep post boosting in-house. Perhaps this speaks to the holistic approach of boosting “good” content. When marketers see something going well, they know it, and want to support it with ad spend immediately. When we say global, we mean global. 82 countries are represented in this survey reflecting a variety of industries including Education (13%), E-commerce (9%), Software (9%), Travel (9%), Nonprofit (9%), and Retail (7%). Company size doesn’t matter when it comes to social media presence so we asked the Davids (less than 50 employees) and the Goliaths (over 5,000 employees). We owe a great debt to the 500+ marketing professionals who contributed to this report. As a thank you, they received the complete survey results in advance of this release. So, don’t miss out next time and take part in our upcoming surveys. Next PostNext Social Commerce: Which Social Media Platforms Drive the Most Sales?